The CRC-P scheme is designed to encourage collaboration between industry and academia on the achievement of three year, industry led projects. 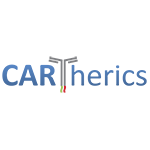 In 2017, Catherics Pty Ltd was the Lead Participant in a successful CRC-P application, receiving Commonwealth funding of almost $3M in support of a $12M project to develop allogeneic stem cell cancer immunotherapies. The other Participants in the CRC-P are Mesoblast Ltd, Cell Therapies Pty Ltd, Hudson Institute of Medical Research and Monash University. The project received ~$3 million from government funding, with ~$9 million being committed in cash and in kind contributions from the Participants over the three year project. This session will describe how the CRC-P scheme encourages collaboration between universities and Industry, bringing them together to focus on an industry-led problem and drive research impact in the biopharmaceutical industry.